We stock 5000 series aluminium alloy in a wide range of shapes and sizes to suit your requirements. 5000 series aluminium's are alloyed with magnesium. It is a readily wieldable material used in a wide variety of applications including pressurized vessels, buildings and transport and automotive. Alloys containing greater than 3.0% magnesium content are not suitable for use in elevated temperature service as they are susceptible to stress corrosion cracking. Alloys in the 5000 series range of aluminium possess good corrosion resistance in marine atmospheres and good welding characteristics too. However, as this range includes a high magnesium content there is the potential for stress corrosion to occur. In such cases, certain limitations should be placed on the alloys use in cold work and the safe operating temperatures permissible (over approximately 3.5% for operating temperatures above 150° C). Magnesium is a widely used alloying element in aluminium and is often the main alloying element and sometimes used in combination with manganese. Our stock range of 5000 series commercial aluminium alloys include5052,5083,5251, 5454 and5754which are supplied in sheet and plate form. We offer this material ex-stock through our dedicated network of local UK service centers. 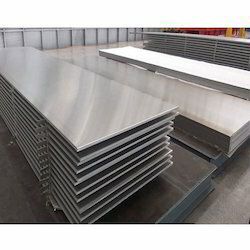 We also have the capability to process your material for you with dedicated guillotining and plate sawing services, which means that you can receive you material to your particular size requirements. Leveraging on our in-house production unit, we are presenting a wide assortment of Aluminum Grade 5086 and 53000 Plates. At our vendors' end, this grade is manufactured using quality alloys and advanced technology. In addition, this grade is also manufactured using advanced machineries and technologies. Thee sheet made from the grade 53000 is used in developing ships yards and ships for cargo. In fact, the sheet can be made available in various shaped and sizes on clients' demands.